There are some things in life I'm 100% staunchly against. I will always be against these things and no amount of negotiation or bribery could get me to change my mind. Some of those things include eating seafood/veal/lamb, fringe, comicbook lore, cucumbers, uggs and sushi. However, there are some things that I was mildly against from the beginning that I've come around to really enjoying. Brussels Sprouts Until I double checked it, I never knew that brussels sprouts is supposed to have the extra "s" on the end of brussels. There's a little knowledge nugget for you. :) But I always thought they were gross and then I had them at a restaurant here in Charlotte and began to love them. Why are they so stinky yet delicious?! Harry Potter Even though some of my best friends 100% in camp Harry Potter and I just never got into it. I haven't read the books but I love the movies. They are really, really good. Leggings I love, LOVE yoga pants but never got into wearing leggings that much except for working out. Now that I own some LulaRoe leggings, it has created quite the leggings monster. My only issue is I have to replace mine (non LulaRoe ones) every season or so since they get holes quickly. Boo. Hummus I also thought the very concept of hummus was quite disgusting. Ground up chickpeas? No thank you. Well, that was certainly the case until I had hummus at said brussels sprouts restaurant. Now, I can't get enough of it and CRAVE it. Is there anything that you've "come around" on? I'd love to hear about it! 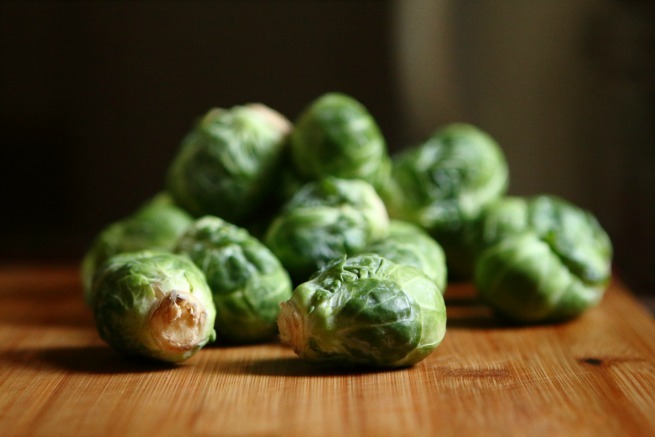 I've changed my tune on brussel sprouts, too...once I had really good ones! So so yummy! I love the Brussels. I wish they did not stink to high heaven. Cats. I used to hate/be scared of cats. Now, I'm a bondafide crazy cat lady!